A picture of one atom of the metallic strontium suspended in fields has won a prestigious science photography decoration. David Nadlinger’s photo, Single Atom Within An Ion Harness, was captured within an Oxford University lab via the window using a vacuum space, using an ordinary digital camera. Two metal electrodes held as it was coated using a laser the strontium almost motionless. The image beat over a hundred entries to claim first place overall in the 2018 Engineering and Physical Sciences Research Council (EPSRC) science photography competition. Mr Nadlinger explained: “The concept of being able to see one atom using the naked eye had struck me as a delightfully direct and circulatory bridge involving the minuscule quantum universe along with also our macroscopic reality. Captured by Imperial College London using an atomic force microscope, scooping her place in the fantastic and weird category. 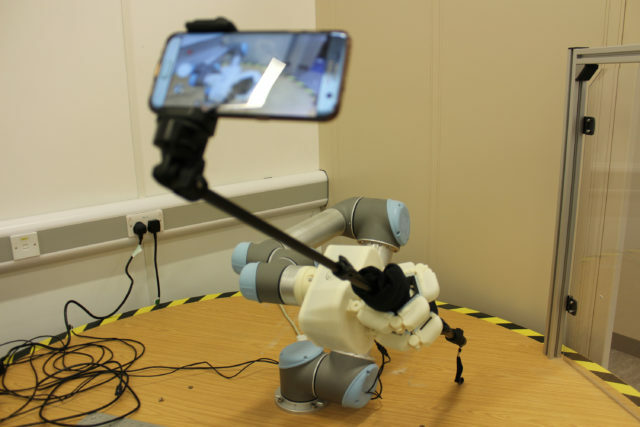 A entry was from Luke Cramphorn in the University of Bristol Robotics Laboratory, with a arm and hand taking a selfie using a stick along with a mobile phone, along with the photograph itself. Fellow judge Professor Tom Rodden, the EPSRC’s deputy chief executive, added: “Every year we’re stunned by the quality and creativity of the entries into our competition and this year was no exception.